2TT-01-03: 0.3m 3.5mm Stereo Jack to Jack Cable. 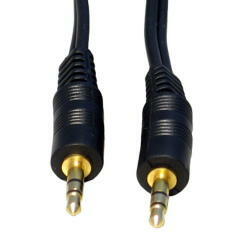 0.3m stereo 3.5mm jack to jack cable, ideal for connecting audio devices. Ideal for connecting an ipod or MP3 player to a hi-fi or car audio system.